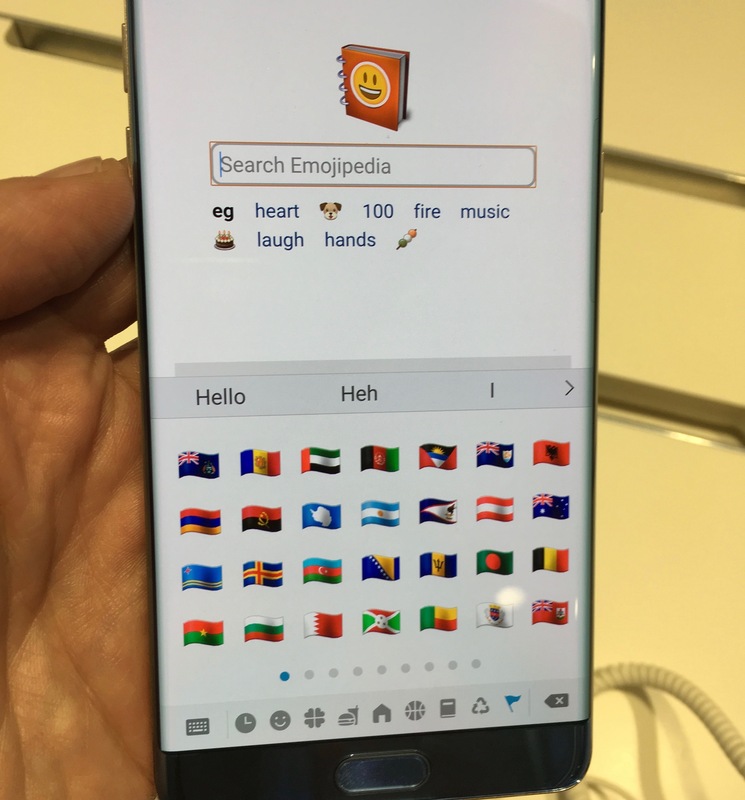 Samsung is this week releasing the Galaxy Note 7, which is the first Samsung phone to include emoji flags for countries around the world. 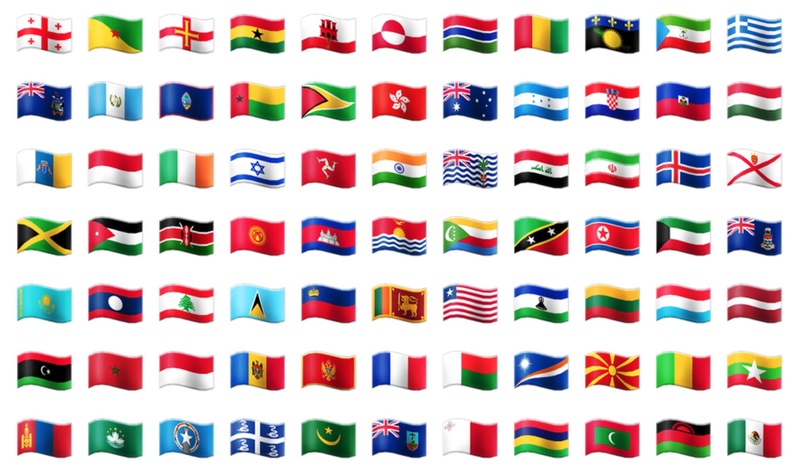 Previous Samsung releases did not support emoji flags, and showed the two-letter country code in their place. For instance instead of the beautiful 🇸🇨 Flag of the Seychelles, the letters SC would be shown on previous Samsung devices. Above: Emoji flags are shown on Galaxy Note 7 instead of regional indicator codes. This leaves Windows 10 as the only major operating system which continues to display regional indicator codes instead of flags for each country. Flags take a glossy appearance which matches the style of the existing Samsung emojis. 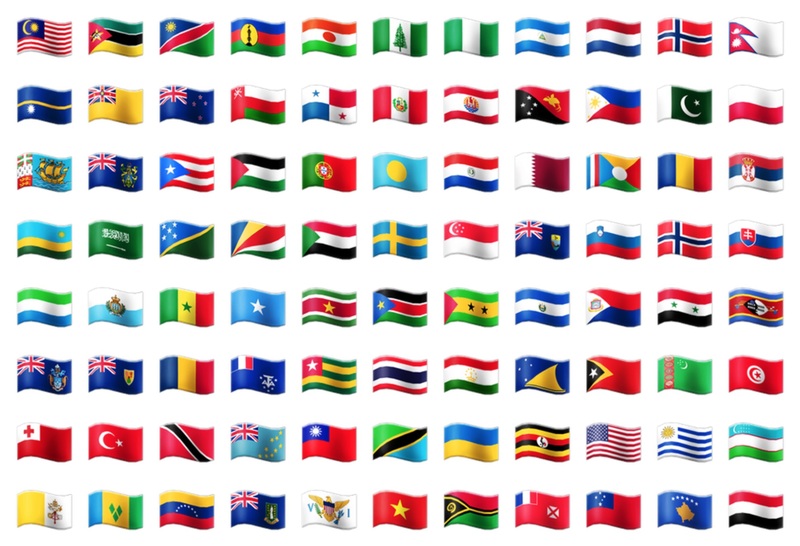 All 257 possible emoji flags are included in this release. Samsung has an on-again-off-again relationship with emojis that include the word "black" in their name. These tend to pre-date emoji, when the terms black and white meant solid (filled in) or hollow (outlined) for older characters such as the ❤︎ Heavy Black Heart or ☺︎ White Smiling Face. Despite the name, this emoji is intended to be a basic red heart when given emoji presentation. After wavering in early 2016 going back to black, Samsung has found its way back to showing this as a red heart. Other emojis didn't get the same upgrade, and remain black. This release continues to omit emojis that support skin tones, and is one of the last remaining vendors to display the default skin tone as white instead of yellow. I would have attributed this to the fact that the Galaxy Note 7 ships with Android Marshmallow instead of the forthcoming Android Nougat, but LG also ships phones with Android 6.0.1 and includes skin tone modifiers for emoji. Above: People are still white on Samsung Galaxy Note 7. Also lacking inclusion are emojis approved in June 2016 as part of Unicode 9.0. There are no other changes or additions to the emojis on the Galaxy Note 7, compared to the Galaxy S7 emoji update earlier this year. The 🎌 Crossed Flags emoji remains showing South Korean flags. Emojipedia understands that support for skin tone modifiers and Unicode 9 emojis is coming in a future release. Above: The new flags emoji category shows on the right side of the Galaxy Note 7. Photo: Jeremy Burge. These new flags are available out of the box on the Samsung Galaxy Note 7, which is available from August 19, 2016. The same updates are expected to come to other Samsung phones in the coming months, depending on model and carrier support.